Altitude sickness, also known as acute mountain sickness (AMS), altitude illness, hypobaropathy, or Soroche, is a pathological effect of high altitude on humans, caused by acute exposure to low partial pressure of oxigen at high altitude. It commonly occurs above 2,400 metres (approximately 8,000 feet). Acute mountain sickness can progress to high altitude pulmonary edema (HAPE) or high altitude cerebral edema (HACE).The causes of altitude sickness are not fully understood. The percentage of oxygen in air remains essentially constant with altitude at 21% up until 70,000 feet (21,330 m), but the air pressure (and therefore the number of oxygen molecules) drops as altitude increases — consequently, the available amount of oxygen to sustain mental and physical alertness decreases above 10,000 feet (3,050m). Altitude sickness usually does not affect persons traveling in aircraft because the cabin altitude in modern passenger aircraft is kept to 8,000 feet (2,440 m) or lower. A superficially related condition is chronic mountain sickness, also known as Monge’s disease, occurring only after prolonged exposure to high altitude. An unrelated condition, often confused with altitude sickness, is dehydration, due to the higher rate of water vapor lost from the lungs at higher altitudes. Those who ascend rapidly to altitudes greater than 2500m (8100 ft) may develop altitude sickness. 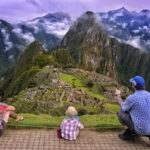 In Peru, this includes Cusco ( 3326m.a.s.l.) and Lake Titicaca (3820m.a.s.l.). Being physically fit offers no protection. Those who have experienced altitude sickness in the past are prone to future episodes. 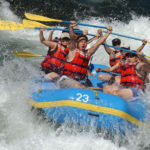 The risk increases with faster ascents, higher altitudes and greater exertion. Symptoms may include headaches, nausea, vomiting, dizziness, malaise, insomnia and loss of appetite. 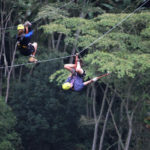 Severe cases may be complicated by fluids in the lungs (high-altitude pulmonary edema) or swelling of the brain (high-altitude cerebral edema) If symptoms are more than mild or persist for more than 24 hours (far less at high altitudes), descend immediately by at least 500 meters and see a doctor. 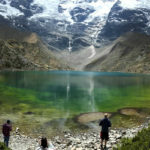 To help prevent altitude sickness, the best measure is to spend two nights or more at each rise of 1000 or 2000m. Alternatively, take 125mg or 250mg of acetozolamide (Diamox) twice or three times daily starting 24 hours before ascent and continuing for 48 hours after arrival at altitude. Possible side effects include increased urinary volume, numbness, tingling, nausea, drowsiness, myopia and temporary impotence. Acetazolamide should not be given to pregnant women or anyone with a history of sulfa allergy. For those who cannot tolerate acetazolamide, the next best option is 4mg of dexamethasone taken four times daily. Unlike acetazolamide, dexamethasone must be tapered gradually upon arrival at altitude; since there is a risk that altitude sickness will occur as the dosage is reduced. Dexamethasone is a steroid, so it should not be given to diabetics or anyone for whom taking steroids is not adviced. A natural alternative is gingko, which some people find quite helpful. 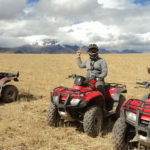 When traveling to high altitudes, it´s also important to avoid overexertion eat light meals and abstain from alcohol. Altitude sickness should be taken seriously; it can be life threatening when severe. 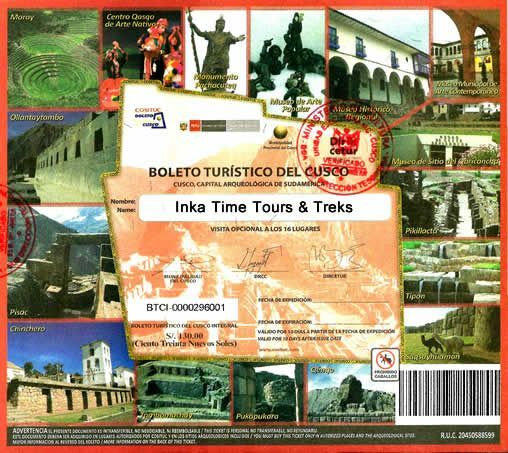 Cusco Tourist Ticket (Boleto Turistico) The General Ticket is one integral visitors ticket that costs 130 soles approx. 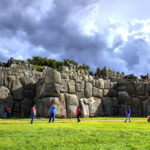 US$ 40 and 70 soles approx US$22 for student (students have to show a international student card “ISIC” and be under than 25 years old), this ticket is valid for 10 days and allows you entry to 16 places to visit in Cusco like the popular Inca sites of Saqsayhuaman, Qenqo, pukapukara, Tambomachay, Places in the Sacred Valley like Pisaq, Ollantaytambo, Chinchero, Moray, Tipon, Pikillaqta, 05 Museums in Cusco and a theater to see a live show folk dances and music at the Centro Qosqo de Arte Nativo (Cusco Art Center located in the 3rd block of Sol Avenue), presentation every night from 7:00 pm; Alternatively you can purchase a partial ticket for 70 soles which allows a one day only visit of just the 4 Archeological sites if you are not planning to visit any of the Sacred Valley sites such as Pisac, Ollantaytambo, Chincheros or a one day only partial ticket to visit the Sacred Valley sites such as Pisac, Ollantaytambo, Chincheros ( Moray ) if you are not going to have time to visit the 4 Archeological sites of Saqsayhuaman, Qenqo, Pucapucara, Tambomachay. The partial ticket for 70 soles does not allow for any discount for students. The student partial ticket cost the same 70 soles. 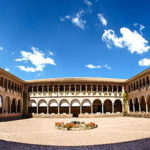 Cusco Tourist Ticket is sold in the main office in Cusco located in the first block of Sol avenue 103 office 102 Galerias Turisticas and this is also sold at the sites themselves and can be bought on the day of the tour if you like. Note this ticket does not include: Entrance to Koricancha (or Qorikancha) 10 soles Entrance to Cathedral 25 soles (the visit of the Cathedral is optional as many people prefer not to visit now that it is more expensive so there is the option to get the cathedral from 6 to 10 in the morning for free during this moment there are masses. San Blas Art Market: San Blas neighborhood. Opening hours: Sat. 9:00 A.M. – 7:00 P.M.
Pisaq People’s Market: District of Pisaq. Opening hours: Sun., Tues., and Thurs. 8:00 A.M. – 1:00 P.M.
Chincheros Market: District of Chincheros. Opening hours: Sun., Tues., and Thurs. 8:00 A.M. – 6:00 P.M. In Cusco we have a really good restaurant with different prices and different kind of food; we have a list of these in our Cusco office. What you have to do at your arrival to Cusco! Due to our altitude you should only eat light food for the first meals like soups nothing too heavy because is difficult for digestion and no alcohol please. You should rest at least 1 or 2 hours on your arrival otherwise you can have the altitude affects these come usually with a bit of a tummy upset and headaches, Try to have a coca tea on arrival and go and rest, after fried meals a herbal tea like Manzanilla (chamomile) help you a lot. Close all restaurants prepare all dishes at the moment, so if you don’t want to wait a long time you should look for restaurant whom offer buffets or menu of the day (they usually are two dishes: Soup, main course and local drink or hot drink), many restaurants offer a courtesy this can be a delicious pisco sour or a salad bar. 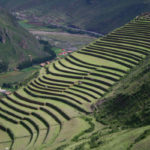 In Cusco you can find restaurant who offer different kind of food, Italian (Pizza makes in fire oven), Mexican, Indian, Chinese, Japanese, the Famous Peruvian and novo Andean food that has mixed the traditional food with other flavor to show and make taste a really delicious dishes prepare with Alpaca, Quinua and other popular Peruvians ingredients, so get ready your palate. The official currency in Peru is the Nuevo Sol (S/. ), which is divided into 100 centimos. 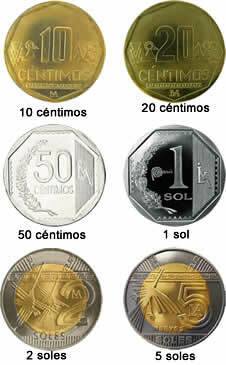 The currency includes coins for 10, 20 and 50 centimos and 1, 2 and 5 soles coins. There are bills in the denomination of 10, 20, 50, 100 and 200 Nuevos Soles. Money exchange and American dollars (US$) are also use and accepted for payment particularly in tourist areas, just bills, coins are usually not accepted, and also the bill must be in good condition, although very old, torn or damaged notes are usually rejected, it is always good for tourists have some local currency in small denominations, to pay for buses, taxis and goods in some small establishments. Close all bureau of change in Cusco can exchange your currencies of other denomination than US Dollars. 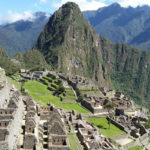 Outside Cusco, it is virtually impossible. US Dollars can be exchanged everywhere and banks, hotels and many shops. How to get cash (ATMs, Credit and Debit cards). All major credit cards are accepted, Visa and MasterCard are the most commonly accepted. 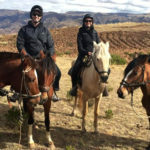 ATMs machines are now generally regarded as one of the best ways to obtain money in all Cusco included Sacred Valley and Machupicchu, you can get from them US Dollar or Local money (Nuevos Soles), there are more than 250 machines. All traveller’s cheques are very easy to exchange them in the Banks. To avoid additional exchange rate charges, we advise to take traveller’s cheques in US Dollars. Banking Hours From Monday to Friday from 09:00 to 18:00 and Saturdays from 09:00 to 13:00. Conversion rates could change every day, the banks have a different rates, this rate show is the rate you can find in all the exchange points. The Cusco weather is really change full so we recommend you take always warm clothes or a jacket; during the day is warm some time hot when we have sunny day but early morning and by night is very cold, colder from April to September, take a good sunscreen help you a lot, because the sun is very strong, during the rainy season (October to March) take with you all the moment a rain coat, waterproof jacket or a poncho; comfortable shoes ‘cause in close all the places you visit you walk and in many of them you’ll find steps, a small rucksack (Day pack) to take your personal articles, repellent for the mosquito (when you go Machupicchu), the articles you need when you go some trekking are recommended in the moment you book a trek or hike. Communications Telephone and Mobile Telephone Country code: +51 and City Code Cusco is 84 you just have to disk Cusco code when you call home’s Telephone or offices, if you want to call to mobile phones you just have to disk the country code and the number. 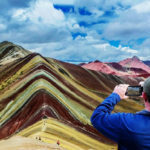 Cusco features a far-reaching telephone network that provides services for national and international long-distance calls from private telephone lines and public cabins. There are also currently 1.3 million clients who have cellular phones, and satellite communications are currently being developed. Post: Av. El Sol 800, Cusco. Telephone: (084) 22-4212 / 24-8352. Attention: Mon. – Sat. 7:30 A.M. – 7:30 P.M. and Sun. 7:30 A.M. – 2:00 P.M.
We recommend you get your flight tickets your own, checking the web site of them directly; sometimes they have special prices and discounts; remember Lan Peru and Taca have one cheap rate for Peruvians and these are not allowed for foreign tourists, you have to read the condition and restriction of the rate in which you would like to book, if you have some difficulty we can get your Flight tickets for you, just let us know. Airport Departure Tax Since 2011 most taxes are included in the cost of the flight ticket for any flights departing from Lima or Cusco. Generally the only airport taxes required are for flights departing from Puerto Maldonado (Jungle) and Juliaca (Puno). The Cost is between $3 and $6 depending on which domestic airport. Traffic drives on the right. 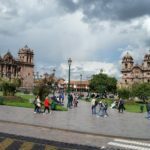 The 95% of the tourist circuit route is paved in Cusco, and the 100% is paved in all the routes to leave from Cusco to Lima, Arequipa and Puno. Bus: Operated extensively, providing a cheap means of travel. 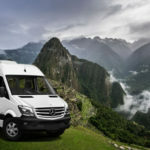 Greyhound-type buses are operated by numerous companies, one of the biggest companies is Cruz del Sur, who have a Quality of service varies according to prices, we sell this bus tickets. Taxi: Take a Taxi is really easy in Cusco, is not like this in Lima where you have to review if the taxi you are taking is safe or has permission; Cusco is smaller than Lima so the taxis you can take are really easy to recognize they usually have black and yellow painting in each site of the car or at the top a banner, close all the direction last as maximum 10 or 20 minutes from the center to your accommodation, the same to the bus station, and they charge normally 3 to 5 soles (Approx. ), by night they charge plus 1 or 2 soles extra, we recommend you ask how much they are going to charge you before take the taxis, many times they charge you more in the end, if you don’t have transportation when you arrive to Cusco to go to your Hotel, you can take taxi inside the airport they are safe and know close all the accommodation in Cusco, they normally charge from 10 to 15 soles, but avoid to hire some extra services with them, If you would like to return some place around Sacred Valley or Saqsayhuaman we can help you to find a car for a good price. Complete the booking form or send data of all the travellers as Full name, passport number, nationality, date of birth, occupation or a copy of passports (in the case of Peruvians is neccesary a copy of a current ID, the same for those student, a copy of the current ISIC card); and the information about arrival and departure flights. Choose the best way to pay and make a payment of 50% of the full amount; There are 03 ways to pay, bank transfer, wire money by Western Union and payments by PayPal; once you send your information you have to specify the payment method and we'll send you our data, the balance should be paid in our office in Cusco at most a day before your tour, this can be by cash or by credit or debit card (if you choose this second option to payment, you must to recharge + 8% of the total amount to pay). Upon receipt of all passenger(S) data, we will send you a confirmation of your tour booked with a reservation code and payment plus details of your tour (this will be sent in the next 12 hours considering our business hours GMT - 5), and once we received the payment we will send you a VOUCHER OF RESERVATION, at this moment your reservation will be guaranteed in a 100% .